To get started, type a question in the box below. For Example: How do I apply? 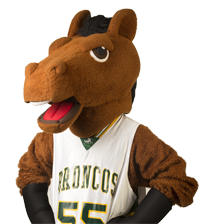 What is my Bronco ID number? How do I contact the Admissions Office? Where do I send my transcripts? How do I access my email? How do I sign up for priority registration? How do I submit my high school transcript? How do I submit my ACT or SAT score to your school? How do I contact a student, staff member or department? How and when will I receive my financial aid? Our Best Answer - What should I do if a grade is incorrect? If you believe that the grade you received for a class was incorrect because there was an error in the calculation or because you believe you were graded unfairly, you must first speak with the instructor for the class to discuss your concern. If your instructor agrees with you, your instructor will file a Change of Grade form and your grade will be changed. If the problem is not resolved with your instructor, your next step will be to meet with the Chair of the academic department that offered the class. If you are still not satisfied with the response, you may submit a formal appeal which will be reviewed by the University Grade Appeal Committee. It is important that you carefully complete each step and you should review the information on Grade Appeals prior to beginning the process. What is your grading policy? How do I get my grades? Can I repeat a class? Didn't find your answer? Try	searching our site or send us a message. Are you satisfied with your answer? This is perfect, this response answers my question completely. This was adequate, this answer helped but could be improved.